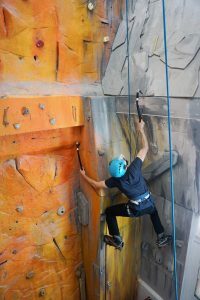 Competent adult climbers can simply turn up and climb, you will need to Pre-Register with us online before your first visit to smooth your entry on the day. 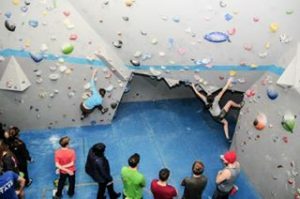 We have great bouldering facilities in the Loft with 8 circuits from VB- V9 and usually an in-house comp so plenty to go at! We also have the Den, with warm up traverses, short reach problems and a special coaching circuit. The highest wall in England! Walls of all heights and angles. 8m- 25m. Slabs, verts, overhangs and even a stalactite! 66?? Lead and or top rope lines and 6 auto belays! Grades from f3 to f8a/b including short reach for our younger customers in the Den and Chamber. The Training Room, Moon Board, Routing Roof: (Training room requires a simple, free induction.) Want some help getting started with training? Just ask and we can help! A special area just for dry tooling. Book an induction today. We can even hire you the kit! Make new friends and meet new climbing buddies! Check out our super friendly Women’s Social every Monday from 6.30pm in the Loft. 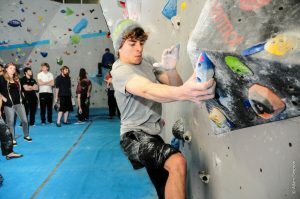 Pick up some handy beta and top training tips with Ben at our Wednesday Social from 7.45pm. 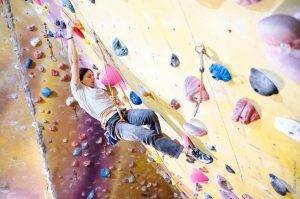 Why not drop in to the Wednesday Social for tips on movement skills and training for climbing. 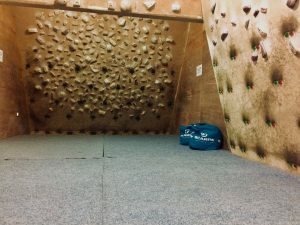 Check out our Beginners Sessions to learn the ropes or book a private session if you want to learn to lead and get yourself to the top of the main wall! Just give us a call.